1). 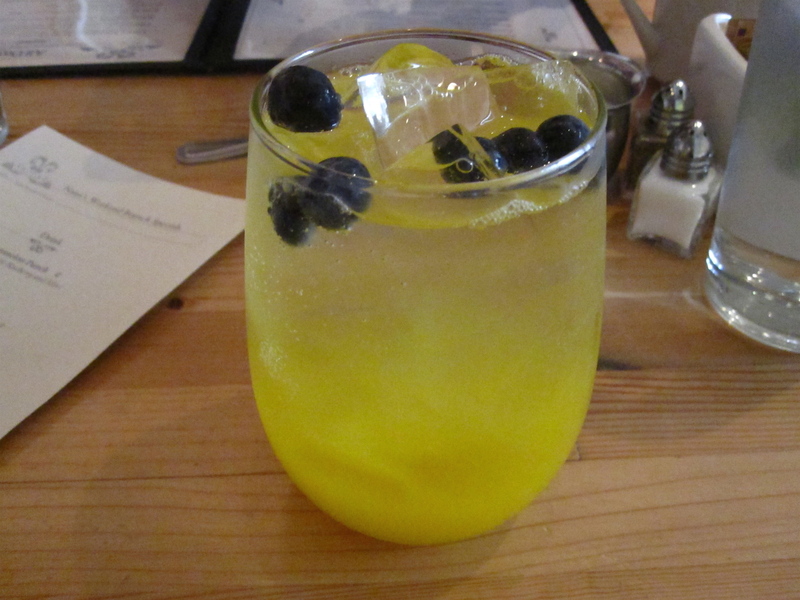 Fresh yellow watermelon punch with sparkling water and blueberries..refreshing, not-too-sweet and would even be better with a splash of bubbly. 2). 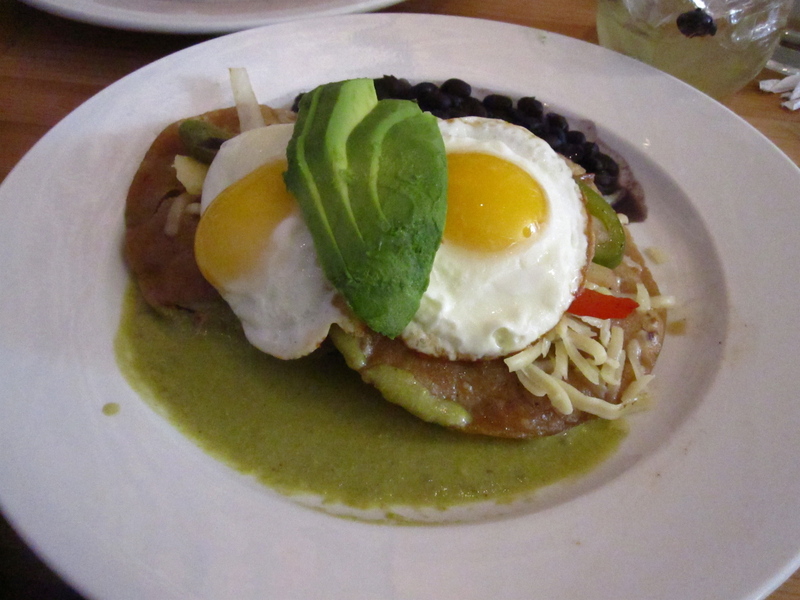 Delicious Mexican-inspired brunch dishes that are fresh, not-too-heavy and full of fresh, seasonal ingredients. 3). 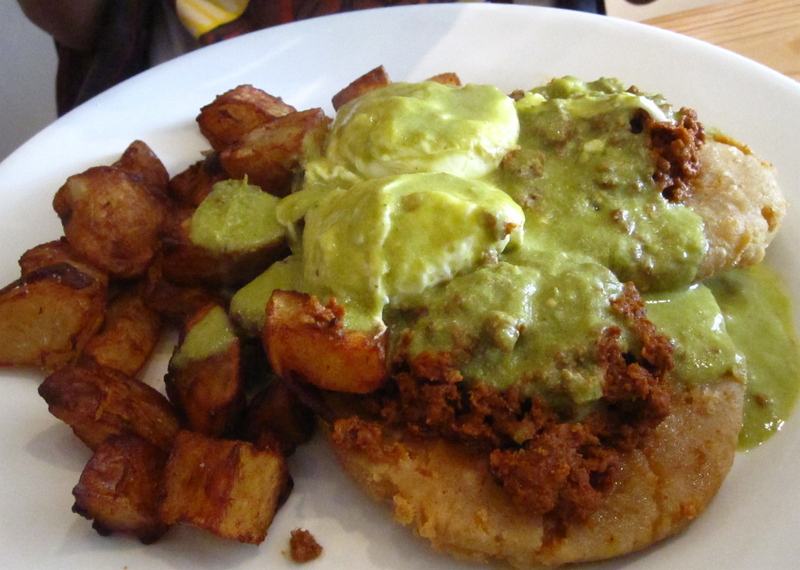 The Benedicts…especially the Nanadict served on a pupusa corn flatbread with homemade chorizo. 4). 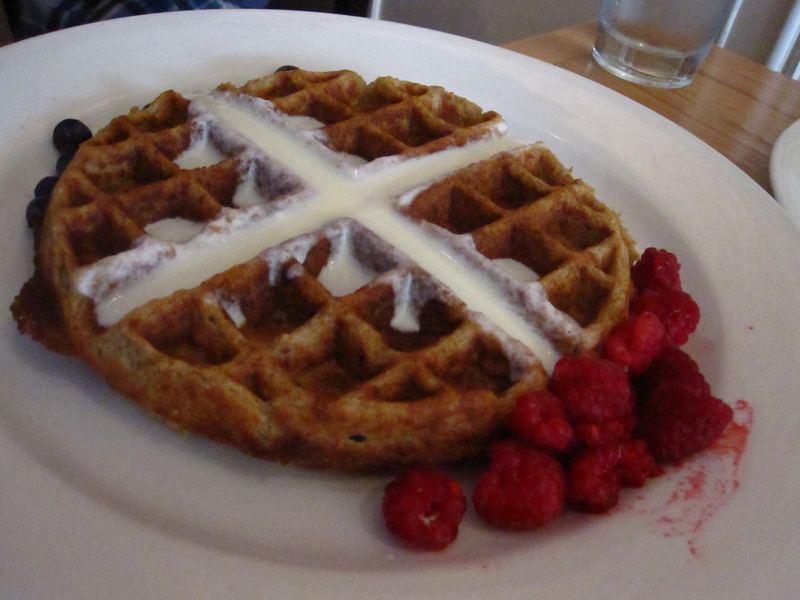 Hearty waffles, like the corn oat with Greek yogurt and fresh raspberries. Other interesting options? Banana-hemp cakes and other whole wheat cake concoctions that change out. I go to Nana often for lunch, since it is close to my office. The Nanadicts are to die for.